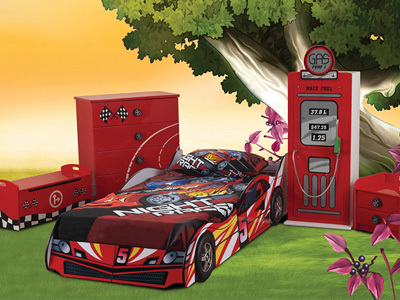 A novelty bed can create an exciting theme for a child's bedroom design! 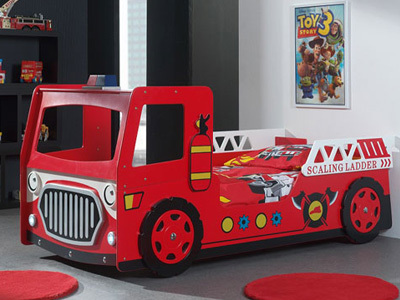 choose from race cars to fire engines and princess carriages to a double decker buses, let their imaginations take over, perfect for hours of fun. 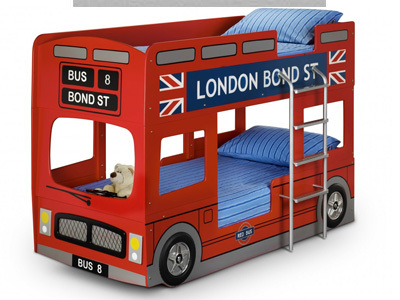 Children's novelty beds come in many different styles and designs. 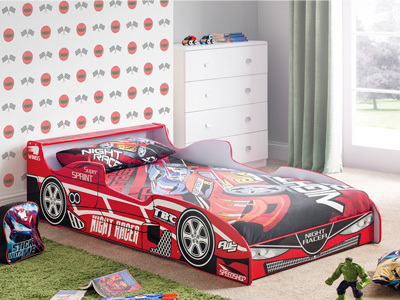 We have a great selection of boy’s novelty beds including F1 racer beds, digger beds, jeep beds, dinosaur beds and fire engine beds and of course a super selection of girl’s novelty beds including Princess beds, horse and carriage beds, fairy beds and lots more. 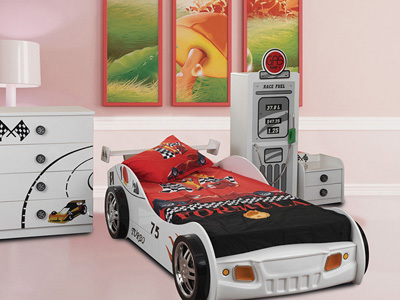 We also have a great range of children's furniture to compliment your child’s new themed bed, if you’ve just bought the latest F1 racing car bed why not add a pit stop chest of drawers or a petrol pump wardrobe to finish off the look and give the next budding of Lewis Hamilton the ideal start. Alternatively, complement your little girls new flower themed bed with a matching set of bedside drawers with flower handles and beautiful painted flowers growing up the furniture. 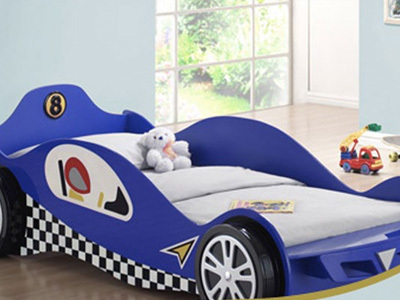 The latest edition to our novelty range is the JCB bed range. Choose either a junior or single size for your would-be demolition expert and have the added benefit of a toy storage area at the front of the digger cleverly disguised as the JCB tipper bucket. 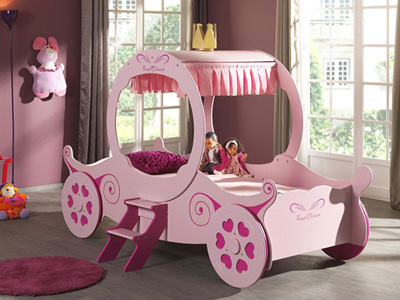 Additional bedroom furniture includes a skip themed toy box, and JCB tables and chairs, bedside table and wardrobe. 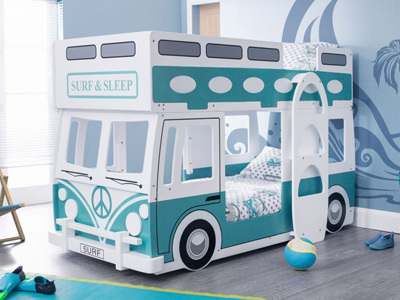 Bedstar are a leading supplier in the UK for children’s beds, including bunk beds, mid and high-sleepers, as well as a wonderful collection of cabin beds. 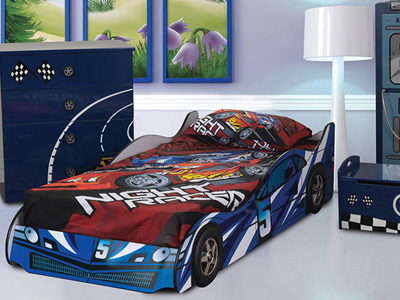 Each of our novelty beds comes delivered flat packed and are easy to put together and install.